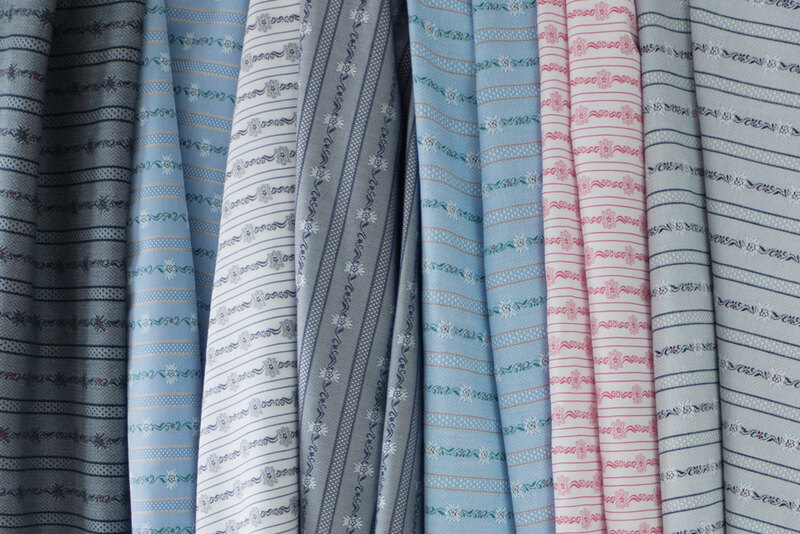 Part of our assortment are also the traditional edelweiss-fabrics, which we offer in different qualities and colours. You can order them in our online-shop. Our classy tie is designed in the same edelweiss style. It is available in dark blue and bright blue.